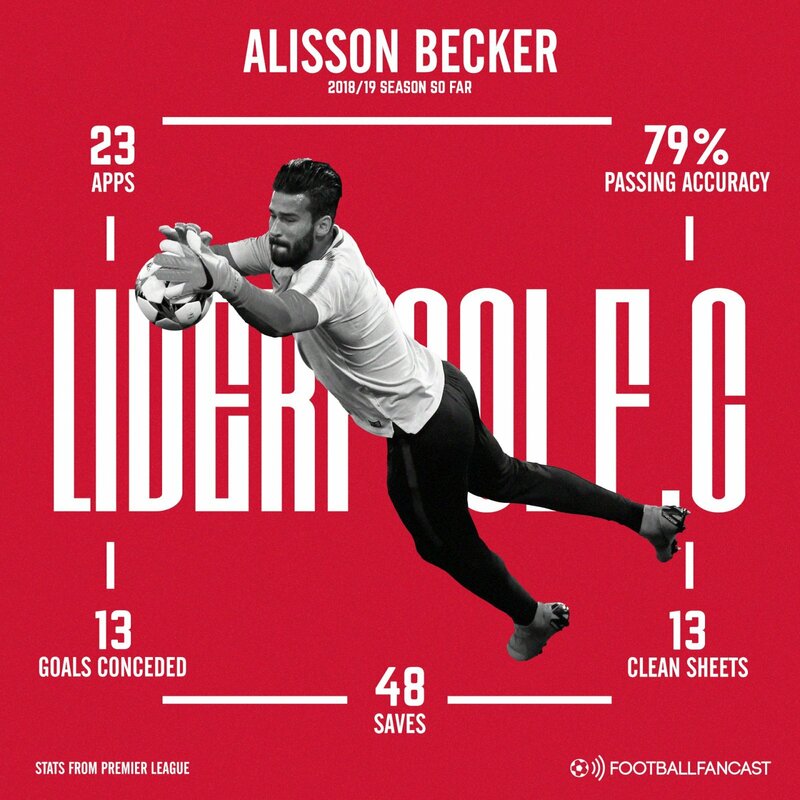 Having smashed the world-record transfer fee for a goalkeeper when bringing him to Anfield, Liverpool immediately placed a lot of pressure upon the shoulders of £66.8m Alisson Becker (as per the BBC), but he has shaken those pressures off and further cemented his status as one of the world’s best all-round keepers. The blue-eyed Brazilian international has enjoyed a phenomenal start to life on Merseyside since arriving from Roma. Alisson has managed to keep 13 clean sheets in his 23 Premier League starts (as seen on the Premier League website), helping his new side sit four points clear at the top of the league ahead of the reigning champions, Manchester City. Alisson’s saves have caught the eye, on the rare occasions that he has to make one due to the watertight nature of the Reds’ backline, but it is his footwork and passing range that has transformed Liverpool’s counter-attack and left opponents fearful of over-committing. Along with the Citizens’ stopper Ederson Moraes, Alisson is perhaps one of the best in the world in his position with his feet, often playing a crucial part in the build up to Liverpool’s goals with his juggernaut kicks and ability to drop the ball on a sixpence. In his 23 league starts, he has let in just 13 goals, less than any other keeper has conceded. His expert passing ability is demonstrated by his impressive 79 per cent pass accuracy, an impressive number considering how often he attempts to break through the opposition with long passes. For comparison, Everton’s Jordan Pickford, who has also started every league game, has a 55.6 per cent success rate (per Whoscored). The haunting memories of Simon Mignolet, Adam Bogdan and Loris Karius are no more. Liverpool have immediately transformed one of the weakest areas of their team into arguably the strongest area, with Alisson perhaps being the most important player for Klopp along with Virgil van Dijk and Mohamed Salah. Additionally, given the fact that Chelsea smashed the world-record fee for a goalkeeper not long after Alisson signed, when they bought Athletic Bilbao stopper Kepa Arrizabalaga to Stamford Bridge for a whopping £71m fee (as per the BBC), the value and significance of the modern day keeper has sky rocketed – £66.8m for Alisson, especially at just 26-years-old, could look like a snip in a couple of years.